Looking for Low Cost Canadian Windows VPS hosting or Canada Windows VPS hosting plans? A Windows VPS allows for remote desktop, and hosting of key applications! All our Servers are Located in Canada! Our Canada Windows VPS hosting plans are perfect for those who are frustrated with the high costs and unreliable shared hosting solutions. With VPS hosting, web developers can test and debug software with ease. Resellers, looking for options to host unlimited domains, will greatly benefit from our VPS hosting plans with web-based control panels (Cpanel for windows) for website hosting. Business web site owners will enjoy not having to share space or bandwidth with other websites. No matter what you plan to use it for, our affordable Canadian Windows VPS hosting options will help you in so many ways. With our Windows VPS hosting plans, you can control and configure your web server just as you can with a dedicated server at cheaper prices. Since you will be operating your own independent operating system, you can add web applications with ease. Whether you are operating Windows server 2008 Standard or Windows 2008 Web Edition, applications such as ASP.NET and MS SQL can be controlled through your Parallels Plesk Panel. 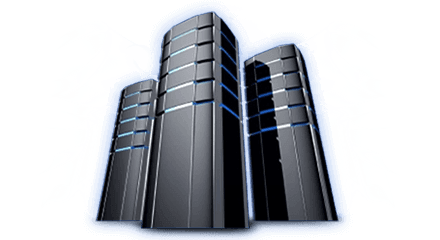 For all of your Virtual Private Hosting needs, look no further! All of our customers enjoy the quick loading performance, affordability and control our VPS plans offer. With your own dedicated IP and your choice of what resources you want to include, you can be sure you will be operating an efficient web server that can handle just about everything you need to grow and expand. Give us a call at 866-708-4678 to speak with one of our Virtual Private Hosting professionals today!